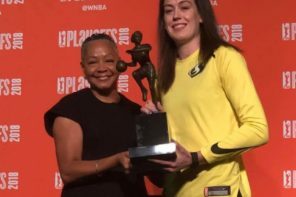 The majority of sponsorship deals throughout the WNBA and sports as a whole are with corporate companies. In the WNBA’s case, these sponsorships can be seen no further than on the jerseys themselves. 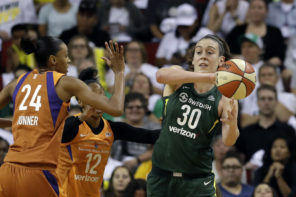 Whether it is the Mayo Clinic with the Minnesota Lynx, DraftKings with the New York Liberty, or Swedish Medical Center with the Seattle Storm, these sponsorship deals can be lucrative money makers for teams. What the Los Angeles Sparks are doing is different. 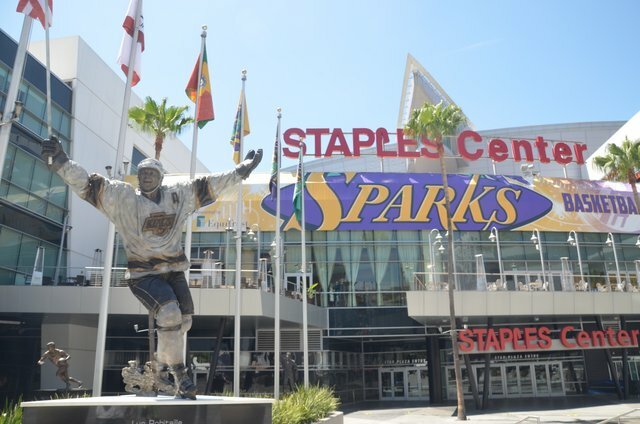 The Sparks have inked a partnership with the Los Angeles County Department of Military and Veterans Affairs along with other county and state mental health agencies in putting forth almost $1 million to sponsor the team this year. According to the Los Angeles Times, Sparks brass will have meetings with women veterans to go over future career aspirations and players will also meet with veterans to go over a litany of relevant topics. LA County’s DMVA is calling this the largest community-based partnership in WNBA history. The initiative’s name – Spark The True You. The Spark The True You campaign and partnership will build our female military community, turning adversity to advantage, by enhancing the physical, mental, and spiritual capacity of women veterans and their families. Karlie Samuelson, Sparks president and COO Danita Johnson, and coach Derek Fisher are scheduled to attend a kickoff event at Bob Hope Patriotic Hall on Friday.